In the run up to World Book Day, I’ve unshackled myself from the writing desk and am flinging myself up and down the UK to talk to students as part of the MetaWars 4.0 Book Tour. On the road – speaking to students. 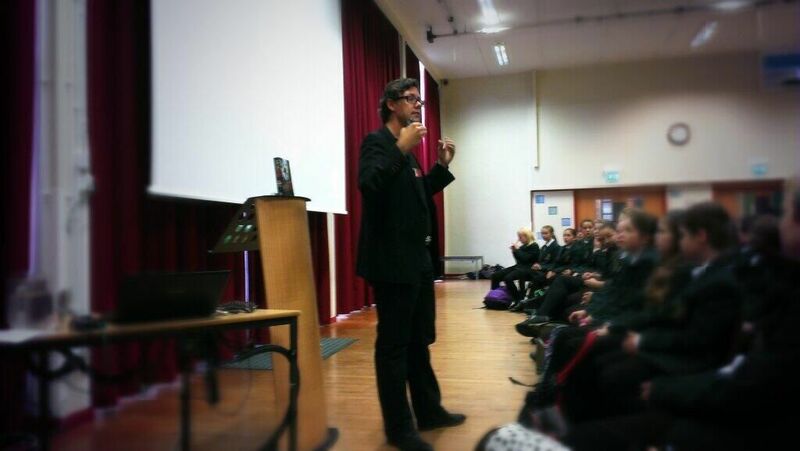 I love doing school visits. It’s a chance to get out of my own bubble to meet young readers and the hard-working teachers and librarians who are helping them achieve their potential. If you believe parts of the (alarmist) media, you’d think today’s kids (kids today!) are unintelligent, unruly and riddled with ADD; and that teachers are lazy, entitled clock-punchers. Maybe these people exist, somewhere, but based on my visits (I’ve lost count how many schools I’ve visited so far…and I’m quite good at maths!) they are simply characters in a fiction fabricated to grab headlines. I’ve visited both posh schools and schools in economically depressed areas and I speak to students the way I want to be spoken to: with respect, enthusiasm, and curiosity. In return, what I encounter is respectful audiences, thoughtful questions, and a genuine yearning to learn about the wider world. Sure, after an hour, tweens get twitchy when seated on a hard wooden floor in a warm gym (I’d probably revolt after 30 minutes! ), but I’m constantly amazed at the massive gap between the encouraging reality of school life and the distorted, dystopian characterization that I read in the papers. As for the teachers; I cannot think of a single professional group that’s more unnecessarily demonized than educators today. I encounter hard-working, intelligent, and creative people who are forgoing better paid jobs in private industry to educate and inspire the next generation. Today’s thirteen year olds will not full realize or appreciate the benefit of their present teachers’ efforts until they are in college, working life, or beyond. Because of this long lead-time, it’s difficult (and probably impossible) to quantify both the private good and public good that’s generated by today’s teachers. And that makes them an easy target for anything from ‘I know better’ policy/curriculum meddling to outright derision. Instead, these folks should be applauded, supported, and thanked. 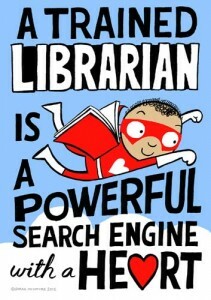 The other group of people that I have the privilege of meeting on my travels is the librarians. In many ways, these people form the heart of the school. I’ve written and spoke about the value of school libraries, but what always strikes me is the important ‘third role’ these people provide in school life: not administrators, not educators, but inspirers. 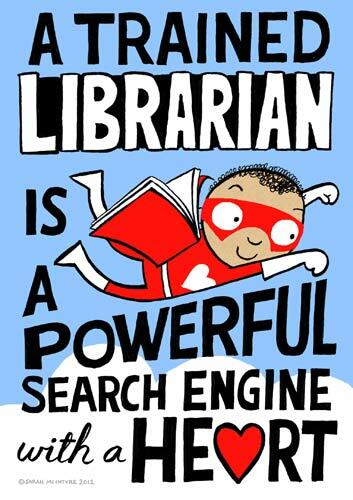 The school librarian has a special, supportive relationship with students because they are not disciplinarians and not responsible for grading. They can help students in ways beyond recommending literature. They are guiding lights, offering a conduit to the outside world through books, technology, and life experience. It’s a joy to behold when a student swings into the library and asks for a book recommendation. What they’re really asking is, “I have something going on in my life, and I’m looking for help/explanation/understanding.” A good librarian (and I’ve been lucky to meet the good ones) knows this and helps accordingly. So, from the road, riding the rails, I’m looking forward to meeting more unsung heroes in the great transition from childhood to adolescence. From what I’m seeing, the kids are all right. And we should celebrate that.